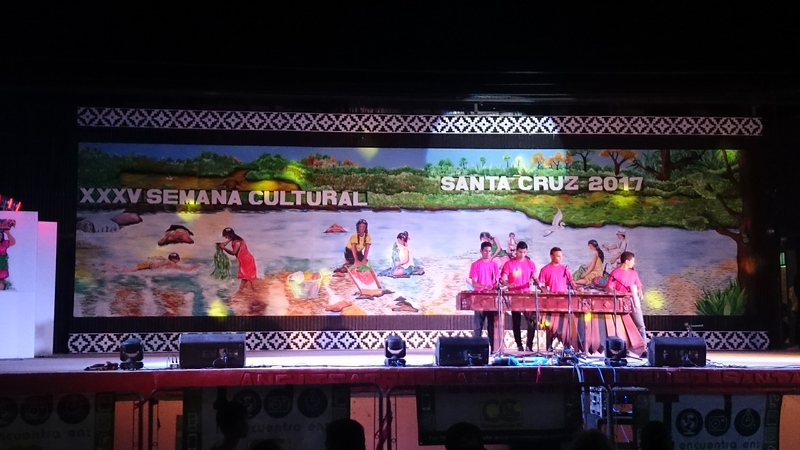 During our stay in La Playa Grande, we were introduced to a local festival in a nearby town called Santa Cruz. To immerse ourselves more into the culture, we all jumped onto buses and headed for the festivities, excited to see what local Costa Rican towns looked like. We arrived in a park in Santa Cruz and were welcomed by a big stage with live performers, an art gallery of old photographs taken within the area, tents of trinkets and souvenirs, and stoves and grills with local foods and desserts. There were crowds of people, both old and young, spending time with their families. We all walked around the park, making sure to experience each of the activities and sights around us. Although it was a short trip, we were all very thankful for the experience to see and feel the authentic culture of Costa Rican towns.